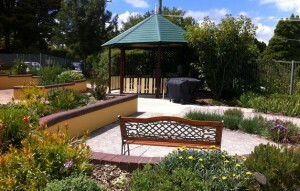 The Management and Staff of Martyn Claver Aged Care, welcome you and your family. We trust that your association with us is a happy one. The philosophy of Martyn Claver Aged Care is to provide a happy, caring environment with a high standard of health care. We invite your family to participate in the activities throughout the year. The staff encourage and appreciate your help with such projects. We recognise that staff, residents and their families are a major source of knowledge and ideas in our pursuit of continuous improvement and better practice. Martyn Claver Aged Care has a Policy Statement which is visible to all and prominently displayed at all times. Martyn Claver Aged Care has a Work Health & Safety Policy Statement which is visible to all and prominently displayed at all times. The statement is reviewed through a structured policy review process. Martyn Claver Aged Care is covered by 13 Australian Privacy Principles, commonly called the 13 APPs, as set out in the Privacy Act 1988 (amended by the Privacy Amendment (Private Sector) Act 2001, 2014). The APPs regulate the way Martyn Claver Aged Care is to collect, use, secure and disclose personal or sensitive information. Our residents are at ‘home’ at Martyn Claver Aged Care and have the right to participate in activities which involve a degree of personal risk. However, Martyn Claver Aged Care is a community and no individual has the right to put other members of the community, including employees, at risk.